Shandong is the home province of Confucius and birthplace of Confucianism. Its emphasis on unity and harmony has much in common with the Shanghai Spirit. Distinguished colleagues, dear guests, ladies and gentlemen, friends, good evening! It is such a pleasure to have you with us here in Qingdao, Shandong Province, on the shore of the Yellow Sea. I wish to extend, on behalf of the Chinese government and people and in my own name, a very warm welcome to all of you, particularly the leaders and heads of international organizations who have come to attend the meeting of the Council of Heads of Member States of the Shanghai Cooperation Organization (SCO). Shandong is the home province of Confucius and birthplace of Confucianism. An integral part of Chinese civilization, Confucianism believes that “a just cause should be pursued for the common good” and champions harmony, unity and a shared community for all nations. 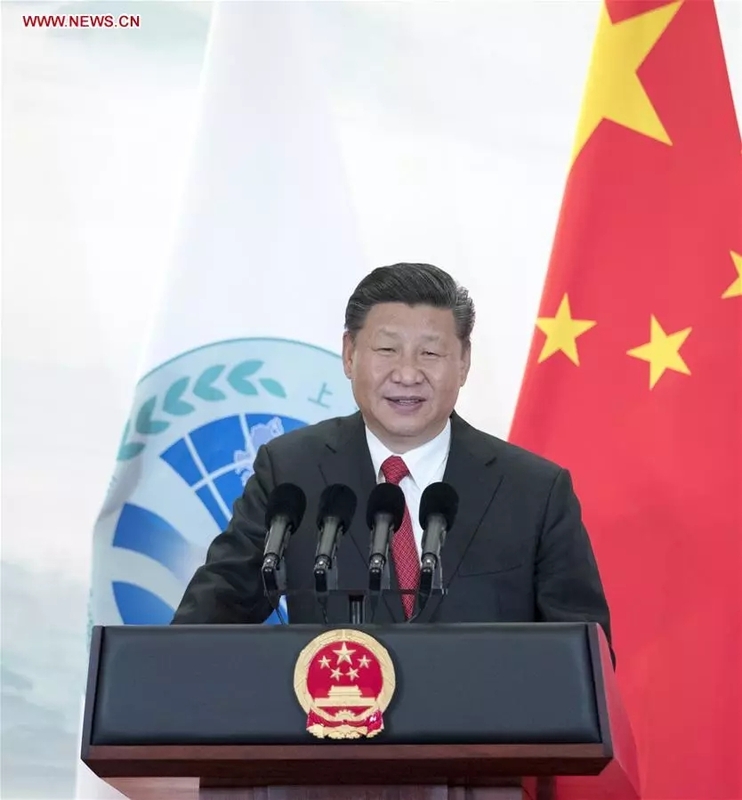 Its emphasis on unity and harmony has much in common with the Shanghai Spirit, namely, mutual trust, mutual benefit, equality, consultation, respect for diversity of civilizations and pursuit of common development. The Shanghai Spirit’s focus on seeking common ground while setting aside differences and pursuing mutually beneficial cooperation has won widespread international endorsement and support. Now please join me in a toast, to the success of the Qingdao Summit, to the prosperity of our countries and the happiness of our people, to a brighter future of the SCO, and to the health of all of you and your families. Cheers!